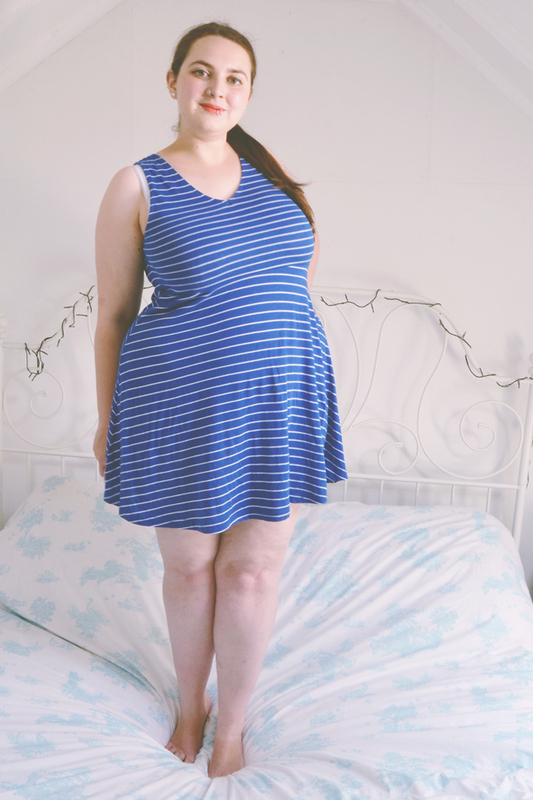 In my Primark and Topshop haul video, I mentioned that I wasn't a huge fan of this dress. It was only £5 which, alright, is an absolute steal, but I don't think it's very flattering at all. The v neck is too high and the waist also sits really high, which is really unusual for me as I have an almost inhumanely short torso. I'm posting this as I hope some of you will have some great ideas on how I can style it without looking absolutely ridiculous. Any ideas? Hit me up!